Thirty-eight Emporia High School seniors who will graduate with honors this month will be recognized at the Senior Honors Reception Thursday, May 5 at the high school. The recognition and reception begins at 7 p.m. in the EHS auditorium. Seniors graduating with honors this month are: Evan James Andrews, Maya Elena Ballester, Natalie Battenfield, Taylor Birch, Amber Bounthapanya, Danya Brewer, Brady Edward Brooks, Dylan Jerod Brown, Darian Marie Bruch, David Ricardo Coria, Ashley K. DeBauge, Deanna Lynn Diaz, Bailey E. Estes, Matthew Finley, Alondra G. Garcia Arevalo, Stephanie Guillen, Emma Harmon, Odalis M. Hernandez, Chelsea Herrarte, Daley Wolfgang Frey Keister, Nicholas R. Kirmer, Mazie P. Kolterman, Joseph J. Lane, Audrey N. Leihsing, Mason C. Mohn, Sydney C. Mohn, Mayra Yesenia Murillo, Caylie Jo Ratzlaff, Skylar Riggs, Nicholas Adam Schoeck, Alexis Simons, Derek Carl James Slaymaker, Peter A. Stuchlik, Tanner Thomas Taylor, Seth Ryan Tilton, Emma C. Wheeler, Emma S. Williams and Jaxlyn Ziegler. 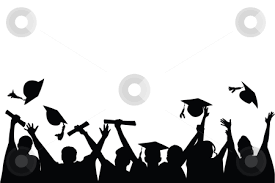 Emporia High School Graduation will be at 3 pm Sunday, May 22, at W.L. White Auditorium.